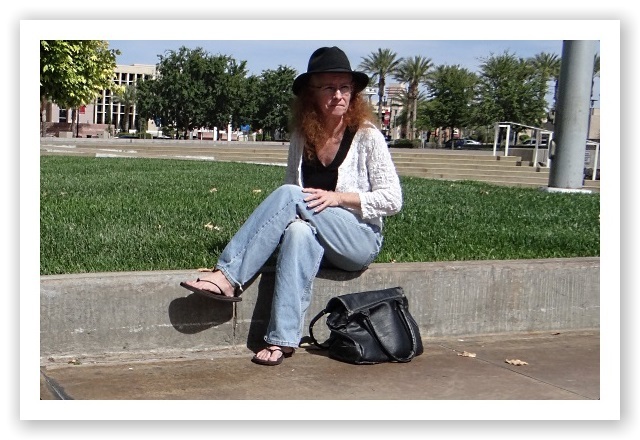 WHO I AM: Hey, my name is Sheryl, I am Ginger Roots Media. I am based in Henderson, NV...no not Las Vegas, but close. I can see it from my back porch. I work with my local community and WAY beyond… like China. With that being said, I have worked with clients all over the US, China, London and Bali and nope, I can’t see any of them from my back porch. When I’m not online you’ll find me digging in the dirt, playing with my cactus and feeding the bunnies and chipmunks. WHAT I DO: I am not your average social media agency. In fact, I don’t identify as a social media agency at all. If you are looking for a run of the mill social media agency, I am NOT it. I don’t fit that bill at all. See, here’s the issue..you think that your digital presence is the shizzzz and I am here to tell you that it needs work. You need someone on your team who can look at the big picture, tear it all apart into little tiny pieces and put it all back together. That’s where I come in. I believe in creating original content and protecting your copyrighted material. Want boring old memes and quotes? Not me. I find those pointless and ineffective to actually building your brand and community. If you look at the major brands, you don’t see them sharing boring memes and quote images. They share content that is directly associated with their brand and core message. That’s what you need. Unique messaging and content that will attract your audience and keep them coming back for more. It’s not about the size of the company you have, it’s about the quality of the content you create and distribute. ● You are a local, regional or international business and/or event. ● You have a budget (big or small) and are ready to invest and take your marketing to the next level. ● You need to increase your online presence. ● You need more engagement on your content. ● You need to increase your sales. ● You are tired of running your own social media and need to outsource it. ● You have a launch or event that needs specific marketing in a short period of time. WHY I DO IT: There is so much content, information and just plain junk out there that misleads business owners and I, honestly, want to right that wrong. Look, you don’t have time to research, pay attention and stay on top of all the changes and craziness that happens in the digital space. You need to focus on generating revenue, but you also need marketing. So here comes the chicken and the egg. Which one comes first? My answer…neither. You need them both to happen at the same time. You need to generate revenue (sales) and have your marketing on point to continue to support your revenue generating activities. Sales and marketing is a collaborative effort. While you are selling you need your marketing to support the sales message. Through the discovery process, I’ll dig in with you on what your core focus and goal is and then deliver a strategy that will enhance and support your sales efforts.